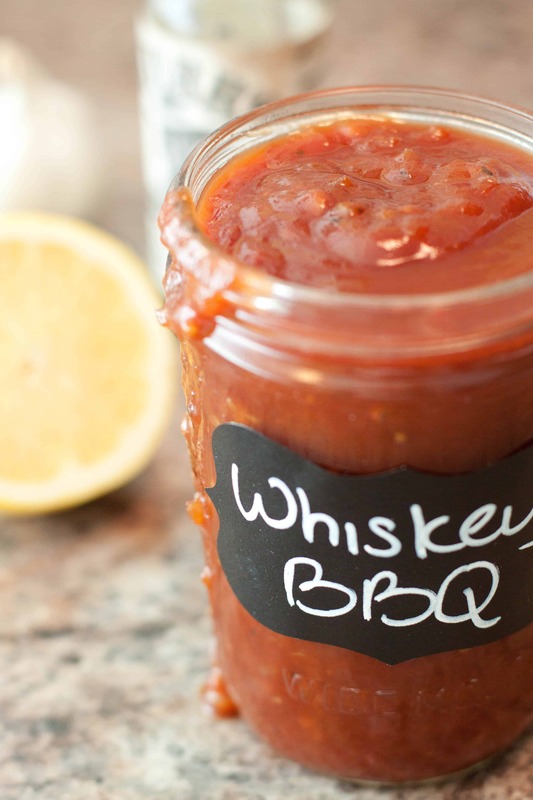 This Whiskey BBQ Sauce From Scratch is smokey, sweet, and tangy. 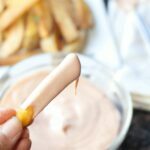 It’s the perfect BBQ sauce for any meat you want to throw on the grill! In this household, we grill a lot. Even during the cold, rainy, Portland nights my studly husband will be out there with a head lamp and raincoat grillin‘ up something delicious. That’s how deep his dedication to his craft is. And I’d be lying if I said it wasn’t one of his (many) selling features. 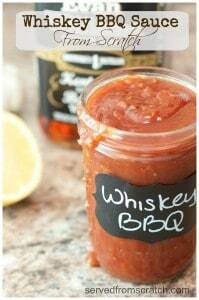 That and his ability to whip up something like this Whiskey BBQ Sauce From Scratch! 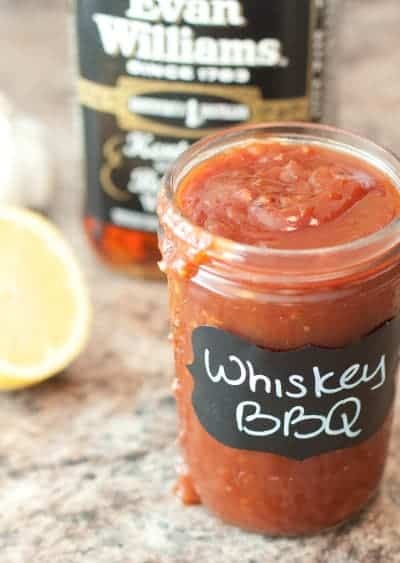 But really, what’s not to love about a sauce that has onion and garlic cooked in whiskey and then simmered to deliciousness with ketchup, liquid smoke, Worcestershire sauce, garlic, tomato paste, brown sugar, apple cider vinegar, fresh ground pepper, and plenty of hot sauce? 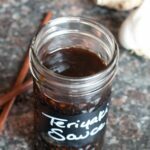 Smokey, hot, tangy ,and subtly hot BBQ Sauce from scratch! In a large skillet over medium heat, add the onion, garlic, and whiskey. Simmer together for 10 minutes until the onion is translucent. Mix in the ground black pepper, salt, ketchup, vinegar, Worcestershire, brown sugar, tomato paste, liquid smoke, and hot sauce. 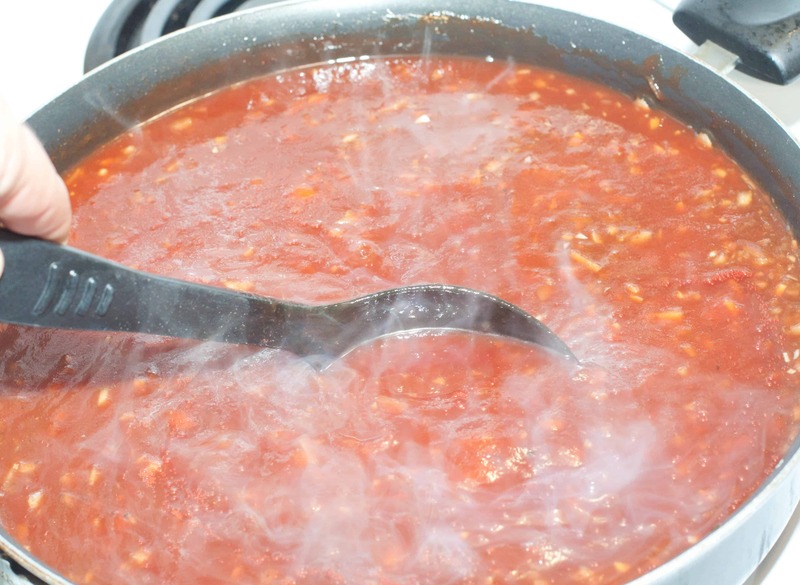 Bring everything to a boil and then reduce heat to medium-low and simmer for 20 minutes. 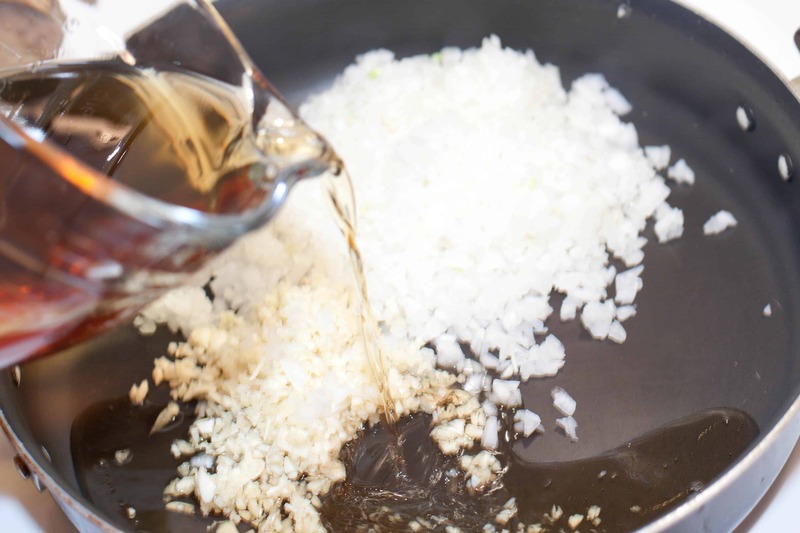 Run sauce through a strainer if you want to remove the onion and garlic for a smoother sauce, otherwise, transfer to jars and let cool. 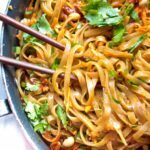 Refrigerate for at least overnight to allow flavors to develop. 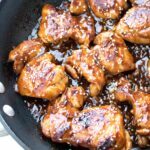 Brown sugar and whiskey in BBQ sauce. OH YES. This sounds absolutely wonderful. Whiskey is often my secret ingredient in recipes and I am sure it adds a nice flavor to BBQ sauce. 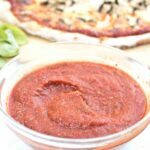 This sauce looks fantastic. I’ve been wanting to try to make my own BBQ sauce for ages and as luck would have it, I’m making ribs this weekend. Now I have no excuse! 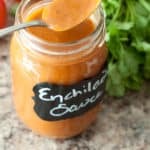 I don’t even care that I don’t have a grill, I’m making this sauce! And the image of your husband bbq-ing with a headlamp on is killing me! Yum, yum & YUM!!! This sounds delicious – cannot wait to try it when BBQ season rolls around. 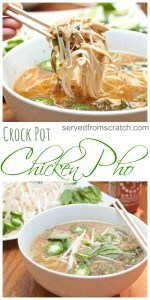 Added to my must make list!! This looks amazing. 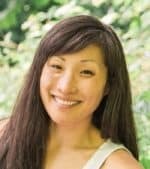 What sort of volumn would this recipie produce? It’ll make about 1.5- 2 cups!